1. There aren't many trees. What's there now will take about 75 seconds to mulch. 2. 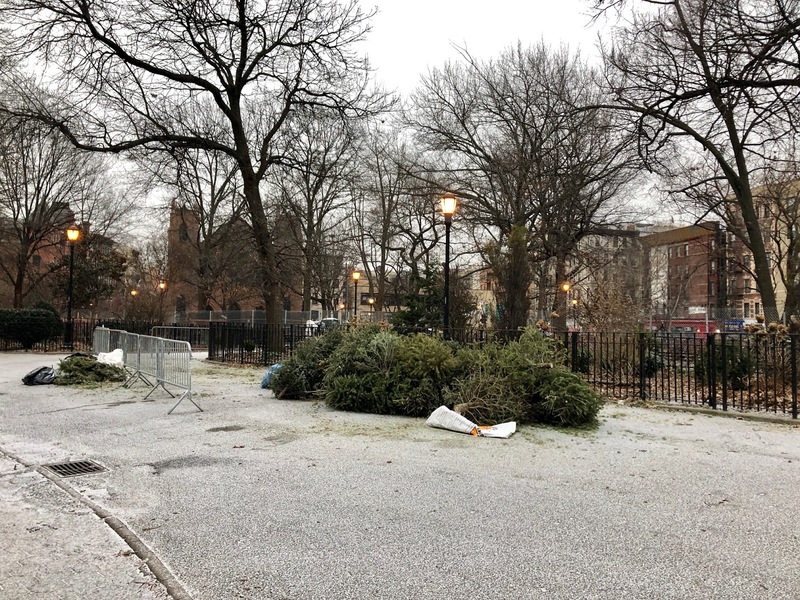 The announced hours for the MulchFest are 10 a.m. to 2 p.m.
3. 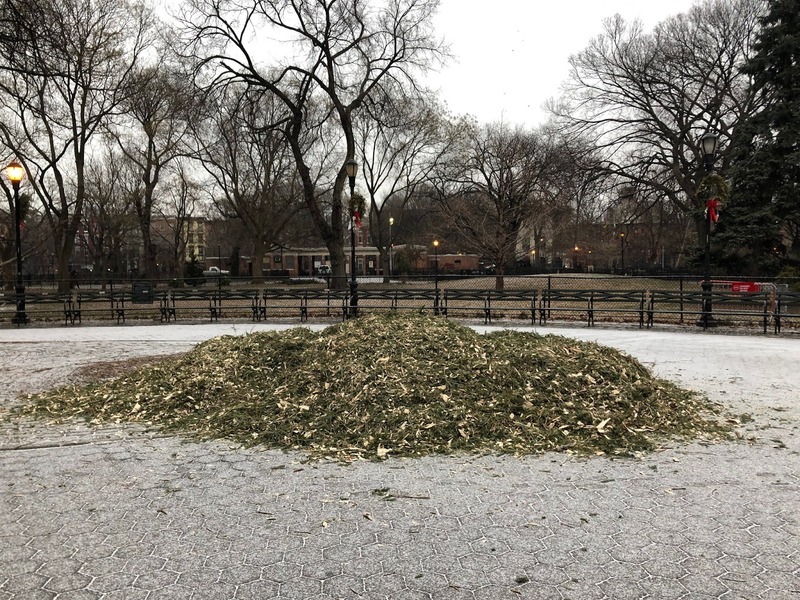 There is a mulch mound in the middle of the Park... help yourself to a bag or wheelbarrow full to use in your own garden or to make a winter bed for a tree or to blend in a favorite smoothie recipe. Sorry, but people are going to be way too busy celebrating the annual No Pants Subway Ride today. 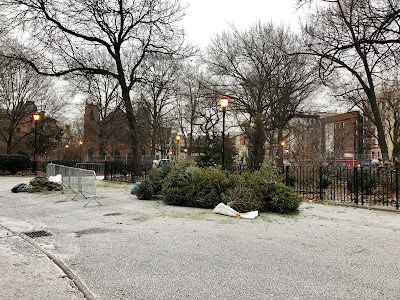 Mulchfest really should have taken this calendar busting event into consideration and moved it to the entrance of the L train. I saw about 20 dogs pee in that mulch pile.